There's more to Thailand than its mouthwatering tom yum and famous pad Thai. On the automotive map, the country is known for having the biggest car industry in the Southeast Asian region. 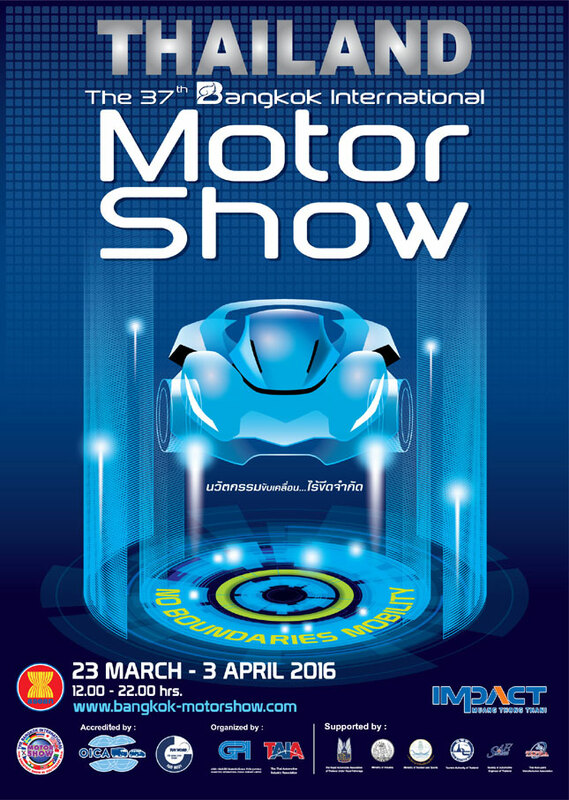 So if you've booked a trip to its capital during March 23 to April 3, you might as well visit the 37th Bangkok International Motor Show (BIMS), which is running on those dates. Happening at the expansive Challenger Hall in Impact Muang Thong Thani, this year's BIMS has 175 exhibitors and "No Boundaries Mobility" for its theme. "The theme symbolizes the international automotive industry, which has grown with cutting-edge innovation and technology to overcome challenges," Dr. Prachin Eamlumnow, president and CEO of BIMS organizer Grand Prix International, said in a press statement. Put to good use the carbohydrates from Thailand's savory rice noodles and roam around the 140,000sqm exhibit area. Several new cars and motorcycles will make their regional debut at the show, including the Honda Accord and the much-awaited 10th-generation Civic, which is coming to our shores soon. Ford's Fiesta Black Limited and EcoSport Black Edition will take center stage at the American carmaker's booth, while Mazda will unveil the new CX-5. German carmakers Mercedes-Benz and BMW also have superstars at their booths: The former will introduce its plug-in hybrid, and the latter will bring the X1, the 330e and the M2 Coupe. Korean car marque SsangYong will also be at the show to display the new Tivoli subcompact crossover, which is one of the first three new models the brand will launch in its Philippine comeback. TopGear.com.ph will cover this show as usual, so in case you'll be in Manila with no means to physically visit the event, make sure you follow us on social media to get the latest updates.